At the start of 2018 I am contemplating in very positive mood the beginning of a series of prints inspired by Schubert’s great song cycle Die Winterreise (The Winter Journey). This project has been a long time coming and is full of challenges. Firstly, although I know the music pretty well I don’t speak German so am dependant on a good translation and aware that I might miss some of the nuances of the poetry. Secondly, there are twenty four songs in the cycle so representing them on paper is going to be a significant body of work. Thirdly, I have never tackled anything where I have to be concerned with a continuing narrative as well as interpreting the music and words together. I do not want to fall into the trap of illustration so have already decided that it will not be one print per song but I do want to show the development of the narrative. I think that if I plan carefully, I should be able to develop a coherent style and presentation of the images which still allows for diversity of style appropriate to the different subjects….. well that’s the theory! So far I have completed one print (see below) and planned three others in detail and a number more in outline. The style of my new work is definitely influenced by a course I went on last summer with Mark Hearld. 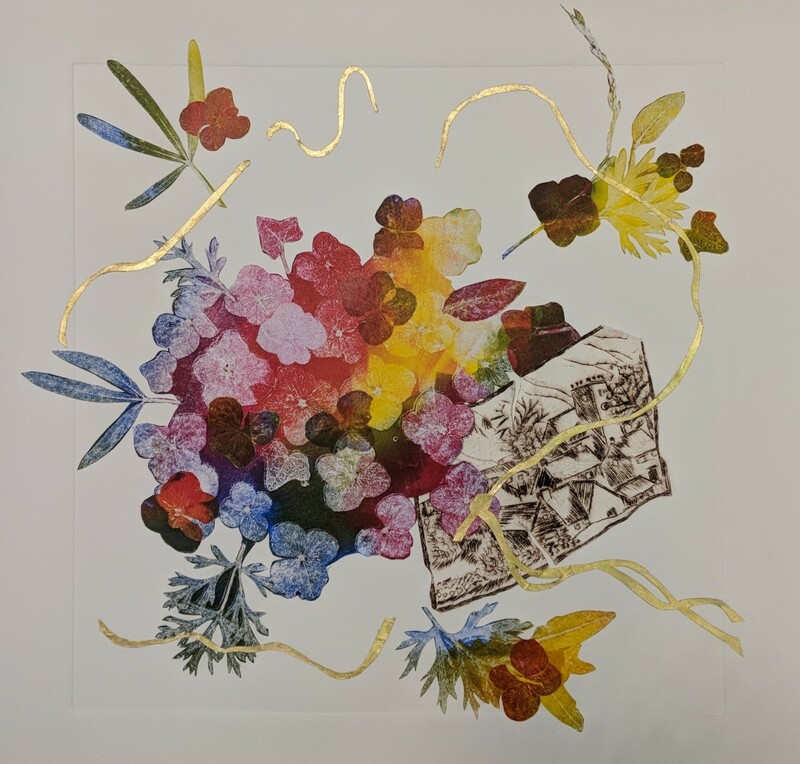 An inspirational two days has led to a freer and more confident use of collage within my work, an extension of the chine collée technique. The two final bird prints I completed last autumn both use collage extensively, using papers I have printed myself for the purpose. They were both planned for inclusion with Flights of Fancy but were not completed in time. You can find them on the website in The Flights of Fancy gallery.